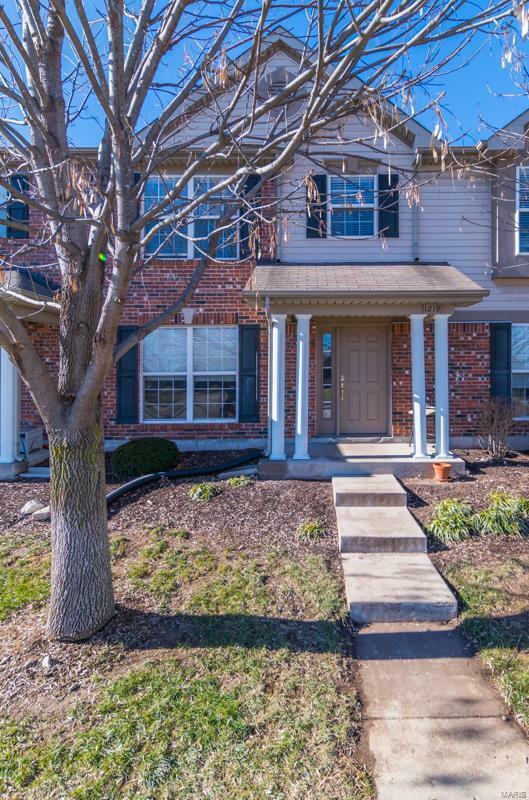 updated townhouse in the heart of Lake St. Louis. 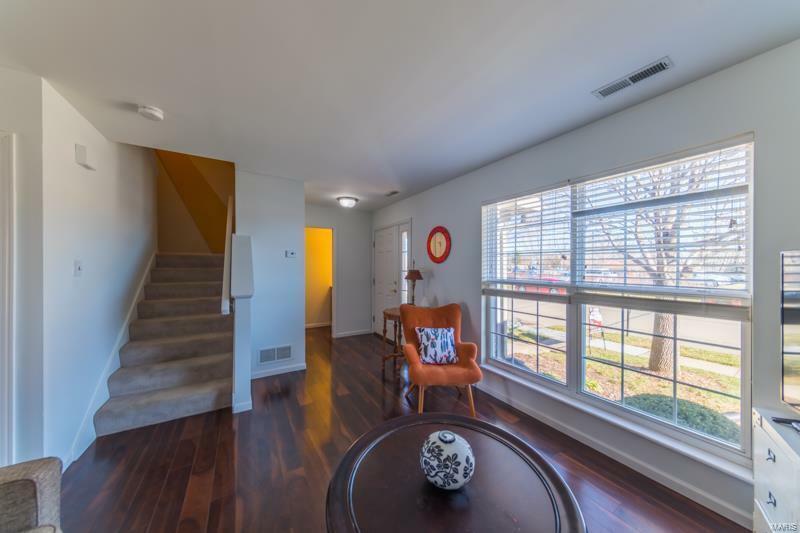 As you enter you'll notice the GLEAMING laminate flooring throughout the main level. Large great room opens to dining area large enough for all your guests. 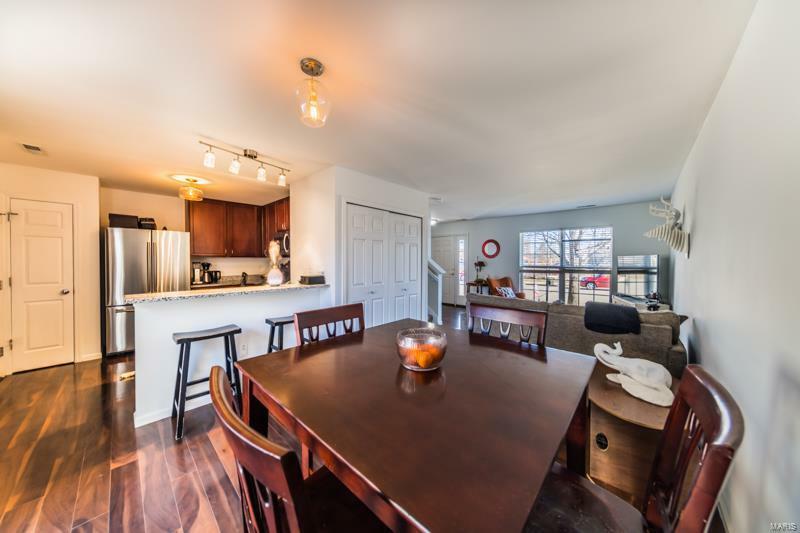 Remodeled kitchen with stainless steel appliances, new cabinets, GRANITE COUNTER TOPS and GRANITE BREAKFAST BAR. Modern lighting and fresh paint throughout. 1/2 bath completes the main level. Stairway to upper level adorned with custom wall art. Entire upper level has newer carpeting. Large master bedroom with full en suite bath and walk in closet. 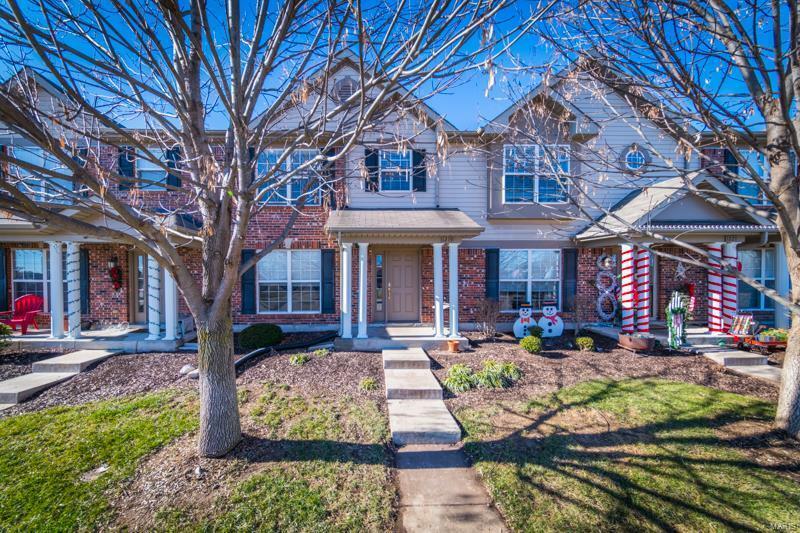 2 additional ample sized bedrooms and another full bath finish the upper level. Private back patio has been extended to give more room for entertaining. Wonderful Zachary's Playground directly across the street offers playground, pond and may other fun activities. Great location close to Hwys 40, 70 & 364.